ZenCash is a blockchain technology-based platform which delivers a reliable and trustworthy system for communication, content publishing, and digital payment system. With the help of this platform and its different module in technology, communication and governance help a project work effectively. It is a collection of services and products that enable users and companies to achieve their goals with its core systematic mechanism. It is reliable and secure as it adopts a fully encrypted communication and governance model that ensures vitality for the long term. Their main aim is to able all users associated with this platform a decentralized ecosystem which is driven by advanced technology and also by a set of social structures. It is a secure and fully privacy oriented system that helps all its users to expand and to extend their area of functionalities to extend wide. Opportunities that users can have formed this service are peer two peer exchange of assets, hosting of individual content, banking services, token and much more. They come with an innovative way to serve people and region those who are lacking services like the banking system, healthcare, capital, and others. They also help users of this platform to earn money for their data. • The total capital of zencash is 21 million dollar except for pre-mining and ICO Phase. • In this system, thousands of nodes are connected and are in operation. • Zen system is founded by a strong team that supports customers in every regard and also by good governance which is the backbone of this decentralized platform. • Clients can remain connected with others in this system with the help of communication modes, and for any type of transaction, they can directly pay from their wallet. • They are expanding to develop a global market. • This platform is developed on advanced technology and strong algorithm which makes the platform safe and secure from any type of thefts. • For further development and to offer quality service they are now associated with IOHK, a leader in R&D company in the blockchain. In this blockchain platform, you can have the advantage of private transactions. It used a secure transaction route that makes the payment system more transparent and safe. Their payment is strong as compared to others as this payment and transaction as it is created with the help of zk SNARKS of ZenCash. This platform also offers their users a route for private communication within the blockchain system where all metadata of the transaction are kept stored and never shared or leaked. The secure communication system offers the users a reliable and non-traceable way for their private communications. With the assistant of this system, users can able the secure memo service of ZenCash. In this platform, you all will have one too many communication systems. This communication system is very secure, and it offers secure messaging. It also offers a reliable way to publish content on IPF. It’s a distributed communication or messaging system help every user in this system to connect with other worldwide. ZenCash has changed the recent scenario of communication and transaction by building a secure and private platform for their users. The working principle of ZenCash decentralized blockchain platform totally depends on its different functional elements. Maximum companies in blockchain technology use normal nodes, but on ZenCash they use secure nodes which keep their distributed platform safe and effective. As everything is encrypted during communication, nodes, and wallets and also during node to node communication which keeps this platform far away from any hacks and attacks. Below I am listing some of its major functioning elements that make ZenCash a secure platform for communication, payment, and publishing. It is a traditional process of the transaction in blockchain which is controlled by the private key in the wallet. These types of the transaction are derived for the Bitcoin that is developed to make transaction compatible with different wallets, exchanges and any other application that follows the Bitcoin ecosystem. It is a messaging technology in the blockchain network of ZenCash. Here in this platform, all messages are encrypted with the help of industrial verified trusted algorithms like AES 26. In this platform, there is a limit of characters which is fixed to 512 characters during messaging. This encrypted technology ensures communication and secure commerce. It also offers users to publish their content and to earn from it. Users anonymously upload and publish documents to IPFS from a text field in the application. Your content needs to remain under your control, and for this reason, they adopt the IPFS file publishing infrastructure. Some countries might block Bitcoin and even Zcash. It is a problem, and so ZenCash uses a technique that hides the end point of every communication. It is connected with CDN for content distribution and to make the platform secure it use HTTPs. With CDN and Https, ZenCash makes perfect web architecture. With ZenHide, ZenCash is developing an application to deal with web traffic. In this platform secure nodes plays a vital role. It ensures whether al communication is encrypted or not during node to node and node to wallet communication. It manages the major functionality of this decentralized blockchain and offers a certificated based connection to its wallet. This node offers Secure Socket layer certification to nodes while communication to ZenCash wallet. The whole application of ZenCash can be managed from a wallet. The interface of their wallet is user-friendly and available for the different platform and operating systems as Windows, Mac, Android, and iOS. Now they are also developing Raspberry, hardware wallets to secure and to change the experience of ZenCash token management. It is easy to set up to secure nodes to keep all details of transaction private and secure. The algorithm that used in ZenCash mining is Equihash which is the same as that of Zcash and Zclassic mining. Mining in this platform took place by a POW mining algorithm that pays 12.5 Zen rewards of every mined block. The total number of coins is fixed to 21 million. Every block time in this platform is for about 2.5 minutes which mined 218000 ZEN every month. ZenCash has different types of the wallet which supports different operating system. For wallets for desktop runs on an operating system like Mac, Linux, and windows it has Arizen and Swing wallets. To access wallet from the web from different types of the browser it has user-friendly interface enabled Web Wallet. To offers their wallet based transaction system to smartphones they develop wallet app for both Android and iOS. If you are willing to store ZenCash coin offline, then users can enjoy its compatibility with the paper wallet. The total number of circulated Zen coins is around 4.29 million, and its limit is fixed to 21 million. In this recent days growth of ZenCash is increasing by 6.11 percent and comparing Zen with the dollar, 1 Zen is equal to 21.8869 dollars. It was launched in the year 2017, and later it splits from Z classic. 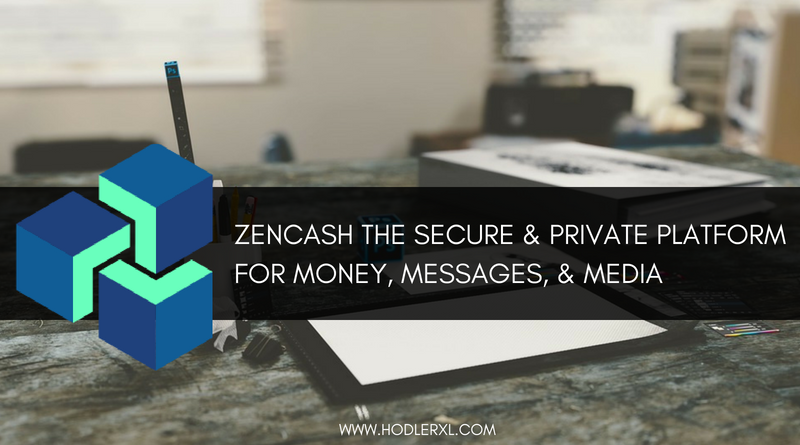 The whole blockchain system of ZenCash is effective, and with the help of its technology and functioning elements, they develop a secure and private platform for publishing, transaction, and communication.